Long aluminium brooch, painted in abstract purple and black pattern with splattered gold horizontal stripes. 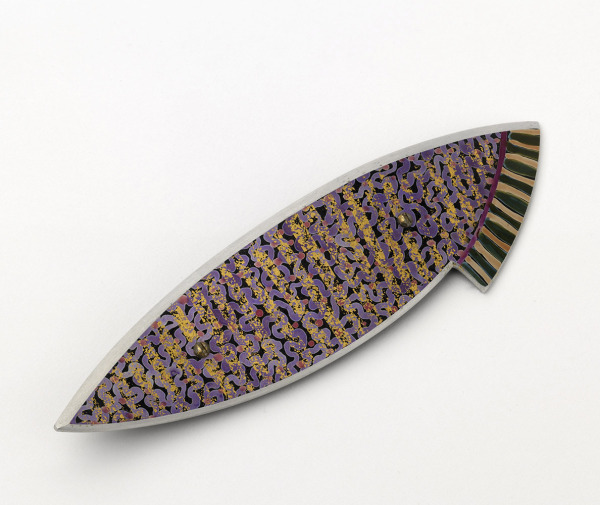 Brooch, Jane Adam, 1991, Crafts Council Collection: J218. Photo: Todd-White Art Photography.